Mobicip | GLARING FAIL - Mobicip for Chromebook can be disabled in settings! 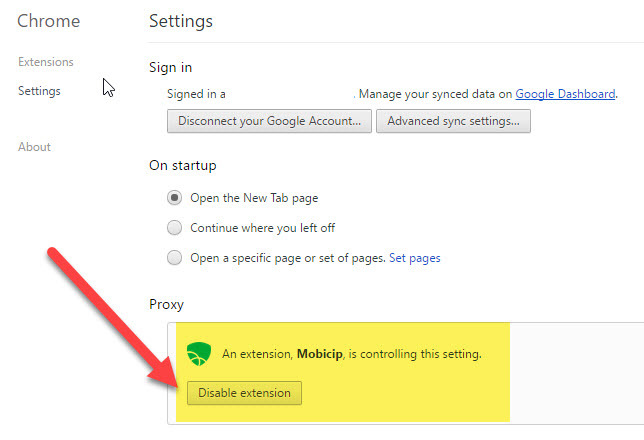 GLARING FAIL - Mobicip for Chromebook can be disabled in settings! This is the second time I have had to contact Mobicip about a glaringly obvious workaround as far as bypassing the controls. In fact, there are two of them. I am super irritated by these issues. Do you have a fix? We understand your concern. Please note that these are known issues and our dev team is actively investigating the issue on priority to find a workaround for these and fix it. We contacted Google reg these issues and they are not willing to change some options for retail users - like removing the powerwash option from start menu and hiding the third party extension icon. same problem here! It took my 13 yer old 5 miiutes to find these work arounds. did you get resolution? Otherwise mobicip is a waste of money! We understand your concern. 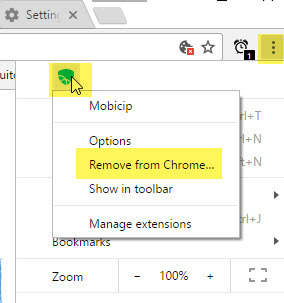 Without Chrome Management Console, the Mobicip extension can be disabled or removed from the Chromebook. One of the ways is to powerwash the device. This is a known issue and we have raised it to Google's attention. Their response has been that the ability to lock down extensions and apps is only meant for Enterprises and Schools that purchase the management console licenses. So, unfortunately standalone Chromebooks are vulnerable and smart users can find ways to workaround Mobicip. If you feel strongly about this, please report a bug to Google. If enough users complain, perhaps Google might change its stance. Chromebook is not very child friendly for families at this time due to Google's policy. Perhaps enough users expressing concern might change their point of view, but it remains to be seen. Has the issue with being able to disable the extension been resolved yet? After spending hours setting up this product, my son disabled the extension in about 2 minutes. If it has not been resolved, please send me the steps for getting a refund. Thank you. As mentioned in the above post, this is something that Google needs to consider changing. Without them letting, we won't be able to block extension deletion in other ways. We understand that this is quite frustrating from a user experience standpoint, but unfortunately our hands are tied by the limitations imposed by Google. You can report a bug to Google. If enough users complain, perhaps Google might change its stance. If you would like to get a refund for this reason, please contact our Email Support via your registered email id and we will act immediately.